Get photoshop. Either buy or pirate. Easiest way to get it is to google "portable photoshop". Download and install. Learn to use photoshop's actions. (it's easy.) Just go through this short article to learn basics of it. If you want to release LQ then use "File>Automate>Crop and Straighten Photos". First make sure your pc monitor isn't set for extra brightness or contrast. pic2 Then I move black arrow all the way to right to better see gray dirt in image. pic3 Move white arrow to left to remove dirt. pic4 Now move black arrow back to left. pic6 Move black arrow to right to remove dirt. pic8 By moving gray arrow to right you can darken image. pic9 And by moving it to left image lightens. Don't bother to remove all the dirt. As some of it is just very near black or near white tones which has no real effect to what image looks. Photoshop can not resize properly if mode (Image>Mode) is set as "indexed color". (and PNG's are indexed color.) Set mode as something else, like RGB color, if it's set such. 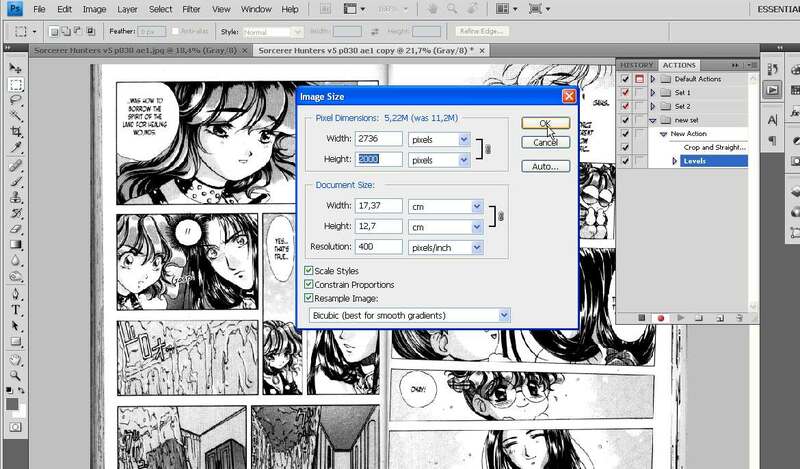 Change image size by changing value of height or width or by setting a percent value. 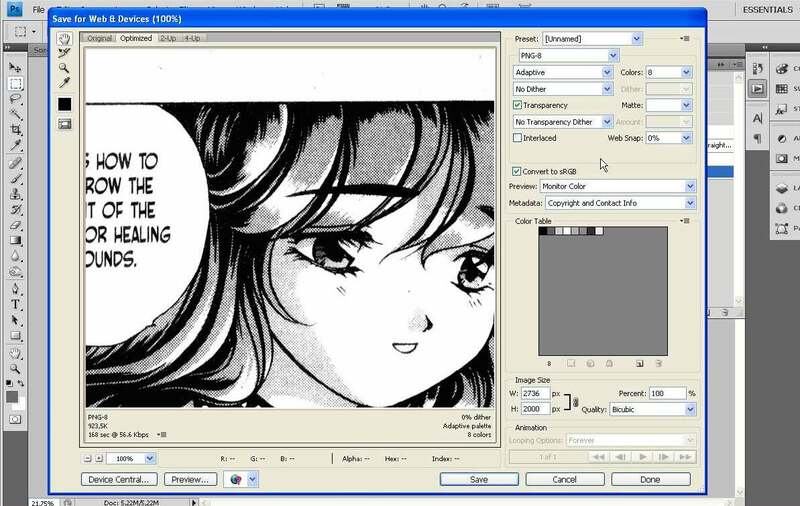 Do not use Photoshop's denoise. Use plug-in. I recommend Topaz vivacity denoise and Topaz Labs denoise. If your image is LQ or resizing left interpolation artifacts then denoise will improve it significally. Number of colors depends what is being saved. Keep increasing the number until preview looks as good as original image.